Bittorrent Speed depends upon one crucial aspect – how smoothly the incoming and outgoing traffic flows through the Bittorrent network. If you are searching for a tool to increase Bittorrent download speed, there are chances that you may find some software tools, which claim that they can speedup Bit Torrent downloads. But most of them are just scams and adware software. 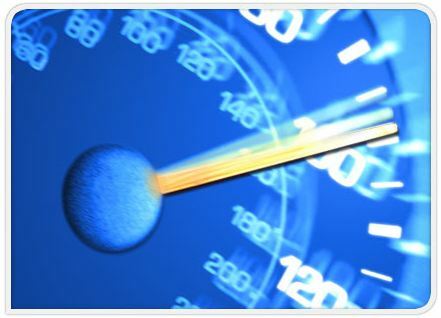 The actual increase in speed can be obtained by taking care of some basic issues. Here are some of them. 1. Adjusting Your Upload Settings: If you allow uploads to a higher value, then invariably your download speeds may suffer. Setting of your upload limits is a fine line and it has been observed that settings it to about 80% of your overall upload capacity will give you optimum speeds. You can check your upload capacity by visiting a site like speedtest.net. 2. Adjusting Your Download Settings: It is a good idea to keep your download settings as say 95% of your download capacity, which can again be checked from sites like speedtest.net. Seeds have 100% of the content associated with the torrent and are only uploading to peers. Peers also upload to other peers, but are also looking for other peers to upload to themselves and their download capacity is almost always higher than their upload capacity. 4. Disable Windows Firewall: Windows firewall is known to be hating Bittorrents. If you want to use a firewall, then use some others like ZoneAlarm or Keiro. 5. Encryption: Some ISP’s are known to throttle the torrent traffic. You can bypass the limitations set by these ISP’s by using the encryption on your torrent downloads. This will sure speedup bittorrents in case your ISP is limiting your speeds. This is not an exhaustive list. There are sure many others also like them. But I have found them to be working like charm. Try them, if you are not already using them to increase bit torrent speeds.